Images of America Oregon State Penitentiary was released by Arcadia Publishing Company on Monday, November 24, 2014. This photo history includes 199 historic photos showing all aspects of Oregon’s oldest prison’s history. Diane Goeres-Gardner researched and wrote the content and John Ritter accessed the photos. Displaying the research skills she is known for, Diane investigated newspapers, prison biennial reports, and state documents to find precise and accurate dates, numbers, and events for the book. Built in 1866 in Salem, Oregon, OSP was initially meant to house about 75 prisoners. The prison was originally built in Portland in 1851 but moved to Salem 15 years later, after Oregon became a state. From that time forward, the Oregon State Penitentiary grew from 23 prisoners in 1866 to 1,912 in 1992. It was continually overcrowded until after 1960 when the state began building other prisons for medium-security prisoners. Today OSP holds nearly 2,000 men inside its 22-acre site. As the only maximum-security prison in Oregon, the Oregon State Penitentiary has housed some of the most violent offenders on the West Coast, including brutal serial killers Charley Panzram in 1915 and Jerry Brudos in 1969. Sixty men have been executed inside OSP. Today the prison houses Oregon’s only execution chamber and death row. During the past 150 years, the prison suffered several serious fires and riots. On March 9, 1968, the most expensive riot ever experienced in the United States flared inside the walls, causing over $2.5 million in damages. Numerous escapes plagued the prison until 1970 when security measures were tightened. The most famous escape involved Harry Tracy and David Merrill in 1902. This is the only book ever published about OSP. For the first time in Oregon history the reader can now look inside a working penitentiary with photos ranging back 150 years. 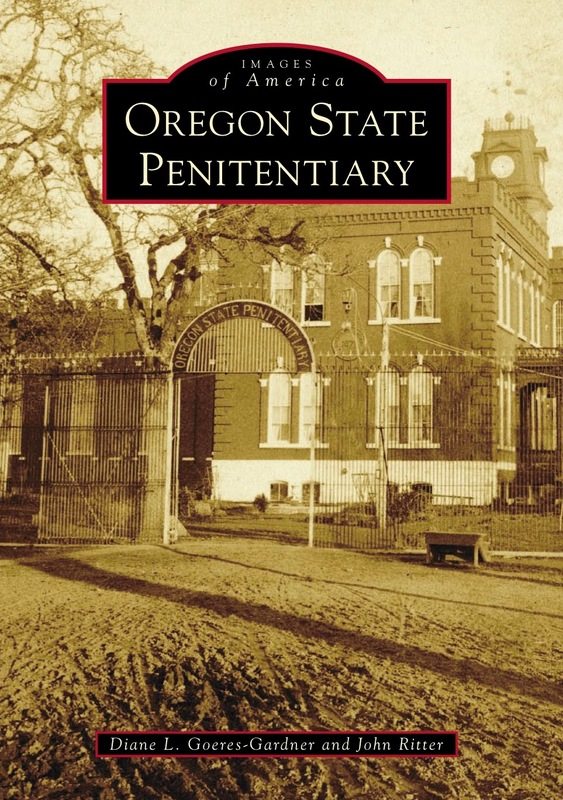 To order your autographed and personalized copy of Oregon State Penitentiary for $21.99, contact Diane at diane@frontierjustice.net All books are also available at your nearest bookstore or online as an e-book. Soon the book takes a much more sinister turn, culminating in the “Executions” chapter, which includes horrifying pictures of the prison’s gas chamber, which was used to execute 18 men from 1939 through 1962. Ultimately, the book affirms what we probably already knew to be true: The legacy of old prisons is dark and confirms the value of rehabilitation and restorative justice.